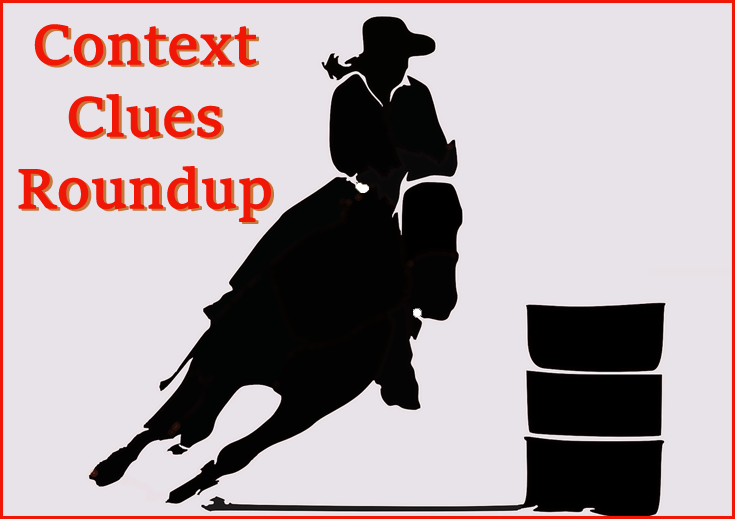 For practicing close reading, using text based evidence, and just basic reading skills, using context clues is one of the most useful topics out there among the many possible reading skill practice topics. There are lots of good context clues activities that work well with whole class review, small group practice, and individual exploration. Here is a round up of some favorites. Here are just a couple of the many printables that you can find to download for free with a little searching online. Free worksheet from Flocabulary. 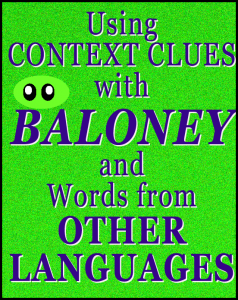 This one provides practice with context clues that use synonyms, antonyms, explanations and examples. Find the Meaning with Clue Words. 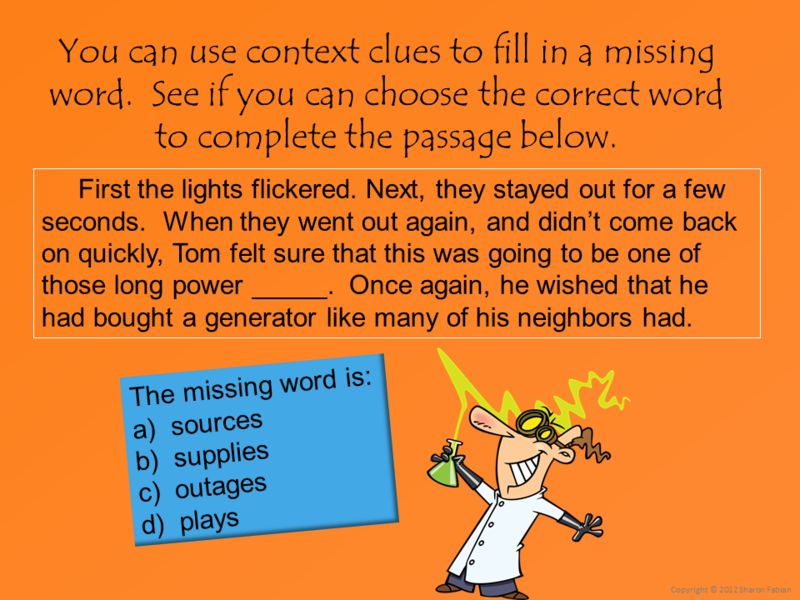 With this one, from K-12 Reader, kids practice locating clues and clue words in sentences. Other choices are also available at this site. 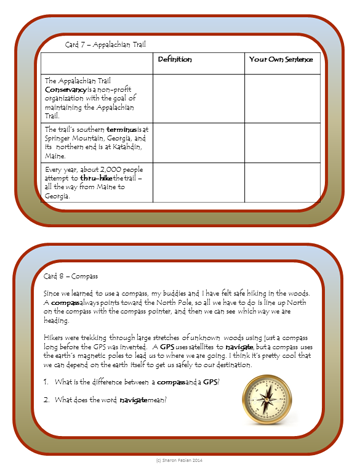 You can easily incorporate context practice in lessons with a reading component, whether they are in English, science, social studies, or another subject area. 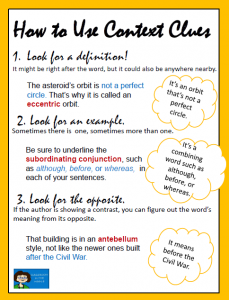 In content areas, such as history or science, text book pages with their headings, subheadings, and highlighted vocabulary terms are an easy source for practice with context clues. 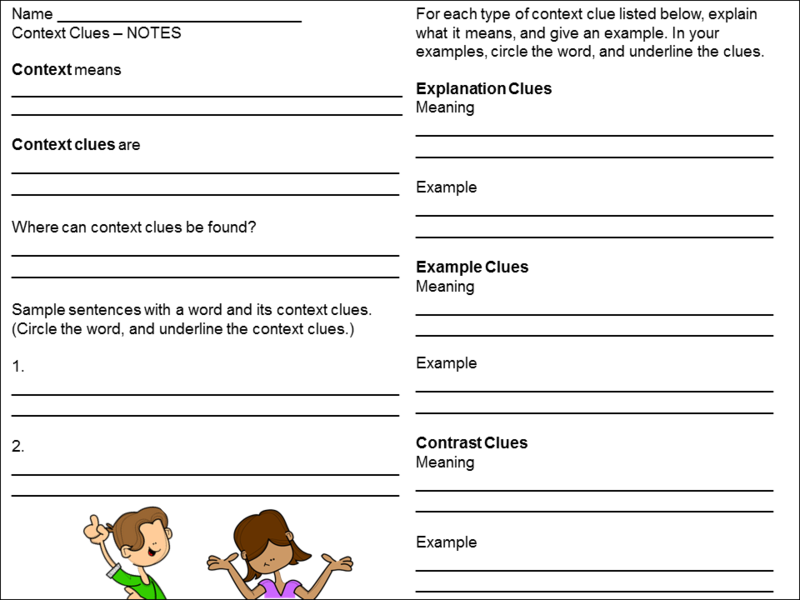 Have students find the clues in the text that explain the meaning of each heading or vocabulary term. In English, novels provide a rich source of clues with their in-depth descriptions of characters. Students might collect details about one character, use the details to come up with character traits that describe the character, and then use the character traits and the details (the context clues) in their own sentences about the character. 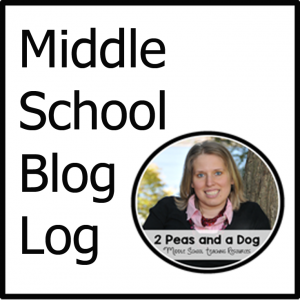 This is what I’ve been working on recently for Classroom in the Middle. You can see more about each of these by clicking on any image. Introduce and practice with the whole class. 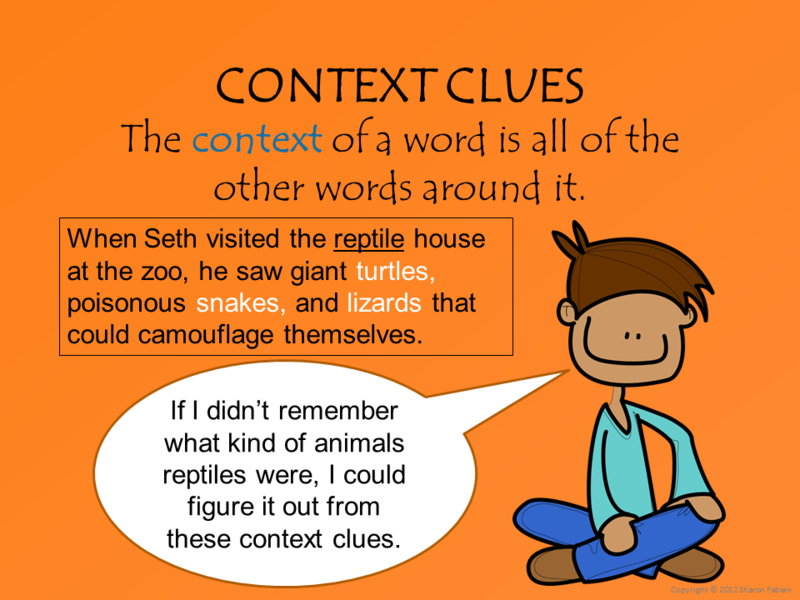 This PowerPoint presentation introduces the idea of context clues as well as several specific types of clues and provides brief practice activities for students to begin using what they are learning right away. There is also a notebook sheet for the students to fill in as they view the slides. 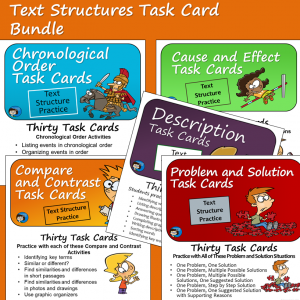 Fun activities with task cards. 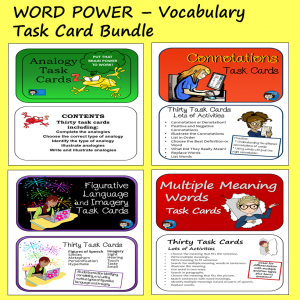 This set of thirty task cards has plenty of good content for students to practice with as they do group work or classroom games like Scoot. Practice, practice, practice. 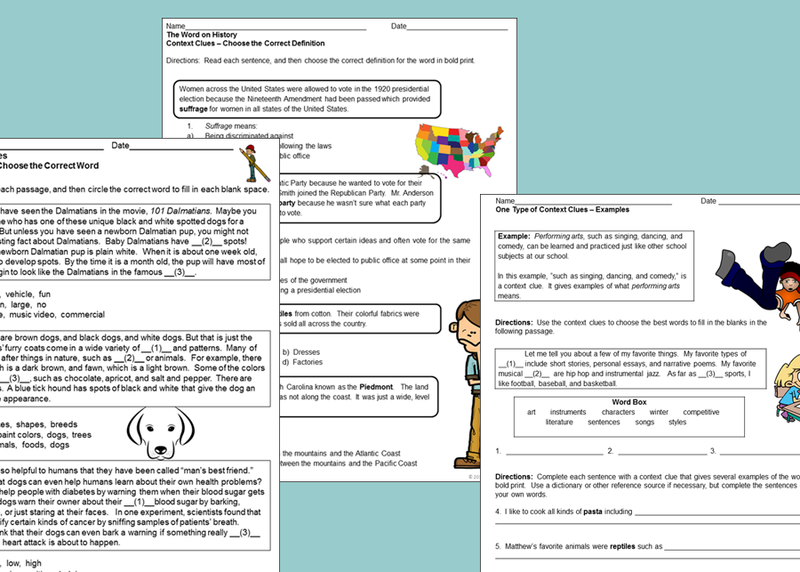 This set of practice sheets includes fifteen activities in a variety of formats and with a variety of response formats for practice that doesn’t get boring. 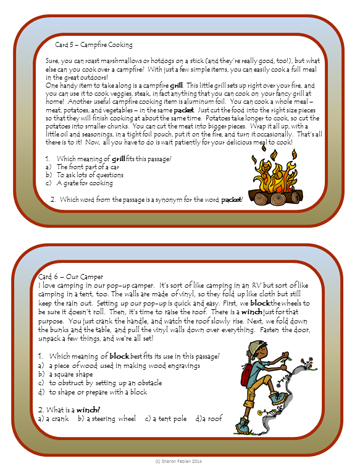 Here are a few more ideas, from previous posts – the first is about an activity using a fun picture book to explain context clues, and the second is a free classroom chart.